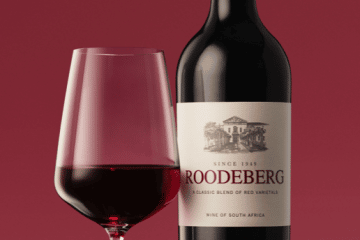 Stellenbosch turns on the charm on Valentine’s Day with a tempting array of attractions which will cast a romantic spell in the Winelands and woo couples to share loving memories, long after the chocolates have vanished from the shelves. As the Food and Wine Capital of South Africa, featuring a smorgasbord of Top Ten Eat Out restaurants, lovers are spoilt for choice when looking for a candle lit restaurant in Stellenbosch. But if you want Cupid to go all out this year, then the City of Oaks has more than enough ‘love potion’ to ignite that spark. 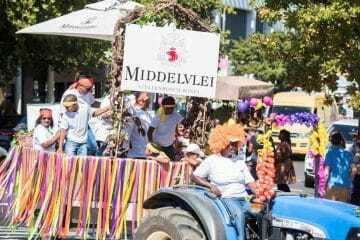 The idyllic Delheim wine farm will spread some love with a romantic Sunset Picnic on 14 February. Comfy blankets at the water’s edge beckon couples to indulge in a generous basket, fit for any Romeo and Juliet. Home-made treats that will bowl him and her over range from ostrich meatballs, smoked snoek pâté and biltong to quiche and roasted vegetable salad, dolmades and olives. Not to mention the farm bread, cheese trio and duo of chocolate mousse. One basket serves two at R235 per person and comes with a complimentary bottle of estate wine. This date under the stars starts at 18h00. 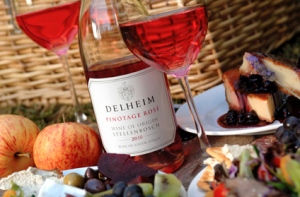 Contact 021 888 4607/079 7353257 or email restaurant@delheim.com to book. 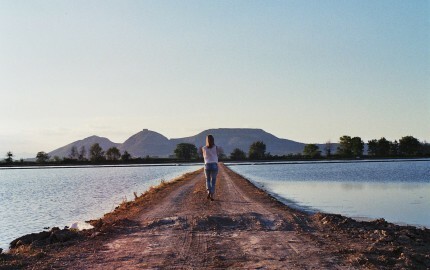 Another good picnic spot to declare your love is at Jordan’s The Bakery. Their baskets cost R450 for two people and fuelled with local and seasonal taste sensations, will add to memorable moments on the lawn from 17h30 until 21h00. Email info@thebakery.co.za to make your booking now. Vergelegen, one of the most prominent wine destinations on the Stellenbosch Wine Routes’ Helderberg sub-route is planning an exclusive, white tablecloth Valentine’s Picnic in their enchanting camphor forest, where one can whisper sweet nothings over a sumptuous array of taste sensations. It starts at 18h00 and for bookings email picnic@vergelegen.co.za or call 021 847 1346. 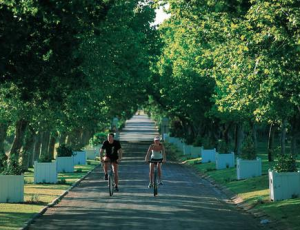 Other attractions at Vergelegen on the day include their Sunset Environmental Tour, which will see enthusiasts (single or hitched) exploring the magnificent beauty of the estate, with canapés served during the tour, followed by a light meal at the Stables Restaurant. 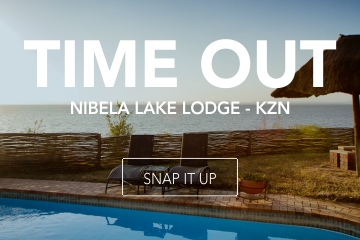 This eco-experience costs R300 per person and starts promptly at 17h00. For bookings email stables@vergelegen.co.za or contact 021 847 2156. 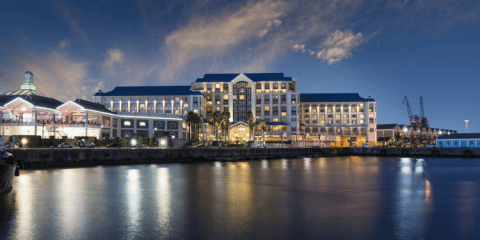 Or tantalise the senses with a specially crafted Valentine’s Dinner at their signature Camphors restaurant at R585 per head, excluding wine or R795 which include selected wine pairings. 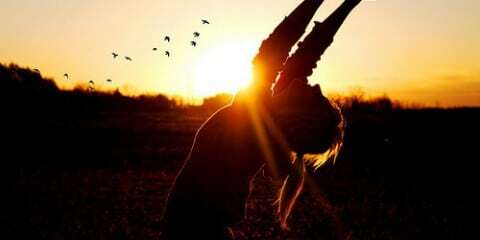 Reservations are essential contact 021 847 1346 or email camphors@vergelegen.co.za. 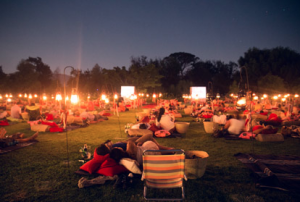 Or lovebirds can flock to Spier to celebrate Cupid’s prowess with a special Valentine’s Picnic from their Eight to Go deli; mark their storybook romance with a scintillating Sleepover & Movie Night at the Spier Hotel, or indulge in a fairy-tale Dinner at Eight Restaurant. 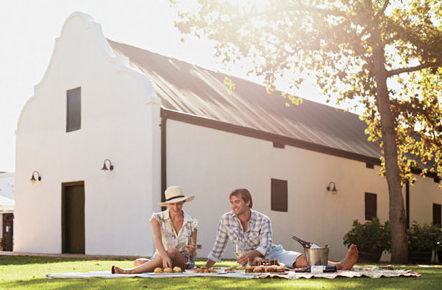 The Valentine’s picnic from Eight to Go is packed to the brim with charcuterie, home-baked breads, farm cheeses, trout pate, seasonal salads and chocolate truffles and the basket also includes a bottle of Spier’s Signature Méthode Cap Classique to toast your love. It costs R450 per basket and can be booked athttp://picnics.spier.co.za/. 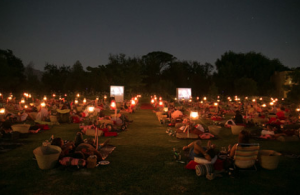 Your sleepover escapade at Spier Hotel starts with the classic romantic movie, Eternal Sunshine of the Spotless Mind, under the stars at 19.30. Each couple will also receive a basket filled with delicious treats and a bottle of Spier wine, as well as a complimentary blanket and cushions. Package options include a Signature Stay which includes a picnic with a bottle of Spier Signature wine from R1945 per room and a Creative Stay which includes a picnic with a bottle of Spier Signature Methodé Cap Classique from R2175 per room. Email reservations@spier.co.za to be whisked away. The Romantic Dinner at Eight Restaurant invites both new lovers and old married couples to ditch the love potion number nine and rather celebrate their love with a divine dinner on the terrace, complete with oysters, chocolate truffles and other aphrodisiacs, whilst relaxing to guitarist Keith Tabishler. Pre-bookings are essential, email eight@spier.co.za or leticiab@spier.co.za to claim your spot. 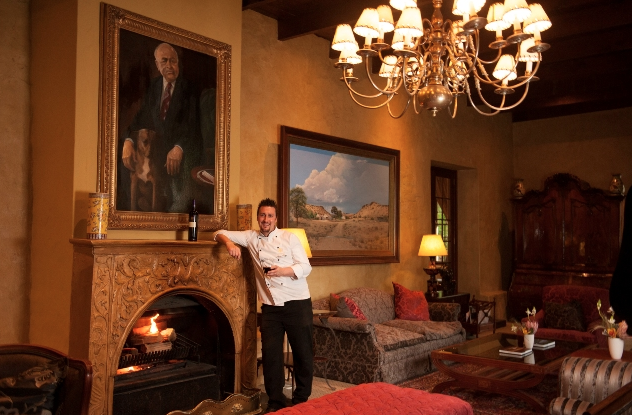 Another way to wine and dine your way into your beau or belle’s heart is at the picturesque Lanzerac Hotel & Spa where a lavish four-course Valentine’s Dinner awaits at R380 per person. Think Coconut and Butternut Brûlée, Tandoori Poussin, Potato crusted Beef Fillet and upside down Honey Cheesecake. Yum! Your evening includes a complimentary welcome drink and a gift from the Executive Chef. Seating is limited, so secure your table at banqueting2@lanzerac.co.za. Or why not spoil your partner before dinner with a couples massage at the Lanzerac Spa combined with a chocolate and wine tasting at R1190 per couple. This pamper pleasure includes a welcome foot soak and a five minute Dr. Fish nibble. Bookings can be made at reception@lanzeracspa.co.za. No Valentine’s Day is complete without a good bottle of bubbly and at The House of JC Le Roux one can sip on fine bubbles and delight in a special Day of Love Breakfast, Lunch or Dinner at their Le Venue Restaurant on this hallmark day. 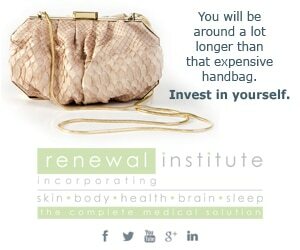 Visit www.levenue.co.za or call 021 865 8200. 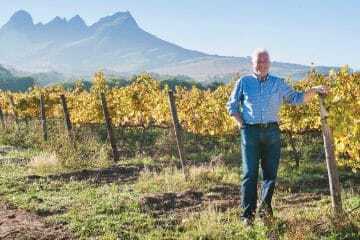 Those wanting to get the heart racing, the natural way, can set foot for a Valentine’s Sunset Hike onDelvera Farm on Friday the 13th or lace up for a Love Run on the farm on Valentine’s morning. 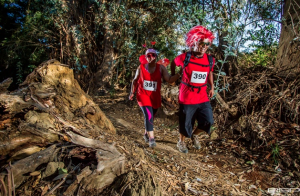 Distances include 5km, 7.5km, 12.5km or 15km and runners are encouraged to spread the trail love by wearing red on the day. For info contact Dirtopia Trail Centre on 021 884 4752 or email theteam@dirtopia.co.za. 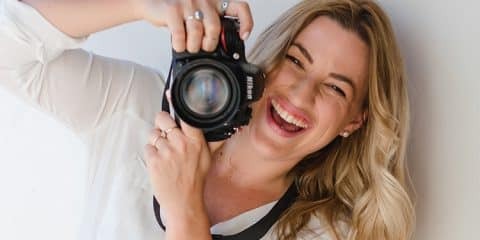 Singletons are also welcome to swing by at the Stellenbosch Wine Route’s new Wine Tourism Visitor Centre at 47 Church Street on Valentine’s Day, where free wifi (to Facebook stalk Mr X), good coffee and casual wine tastings come standard. Who knows, Prince Charming could just be waiting for you, right there on the oak-lined sidewalk.